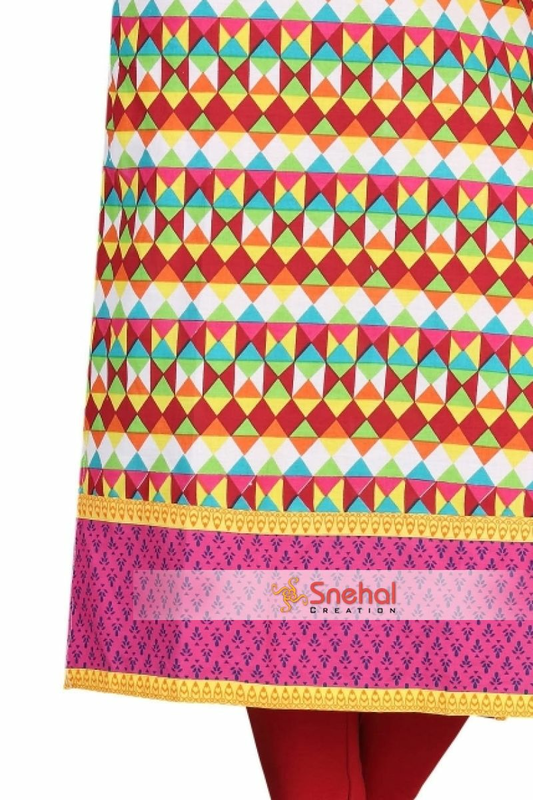 If you love absolute fun, here is one piece of designer ethnic clothing from Snehal Creation that lets you be yourself, the vibrant you. This long tunic comes in fine quality cotton that is vivid in geometric design patterns in shades of blue, yellow, pink, green, orange and red. 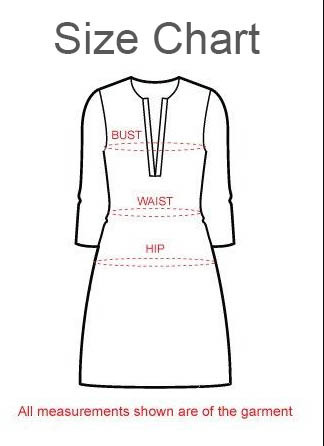 The subtle finishing to the designer tunic is provided by magenta printed fabric that serves as the border panel at the base of the kurta, the elongated neck panel and also long sleeves that suit well with the aesthetic beauty of the tunic. Pair this vivid designer Indian tunic with a simple pair of jeans, churidar or jeggings and get ready for the joy ride. Available in different colors.